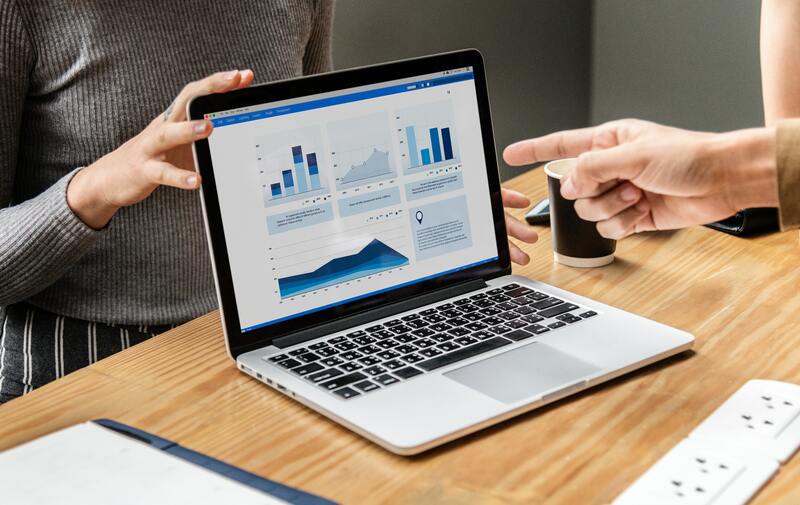 Key Performance Indicators (KPIs) are commonplace in many industries, but surprisingly, many law firms do not track the metrics of their marketing and business development activities. Overlooking metrics presents a risk; inefficient and low-ROI activities dampen profitability and the ability to compete. 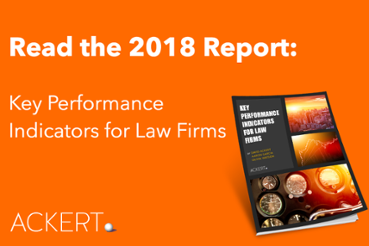 However, in today's crowded legal environment, it also offers an opportunity: law firms who take a metrics-based, analytical approach are poised to position themselves more competitively and dominate their market. We will be covering how to track these KPIs and importantly, how to respond to them within a marketing / BD context. These metrics can be tracked using CRM, a pipeline management tool, or billing software in some cases. Excel can be used to track any of these manually, but the time required to maintain spreadsheets may outweigh the potential benefits of tracking the metrics. KPI dashboard tools Practice Viewer can integrate with all of the aforementioned platforms to collect, update and display these metrics automatically. 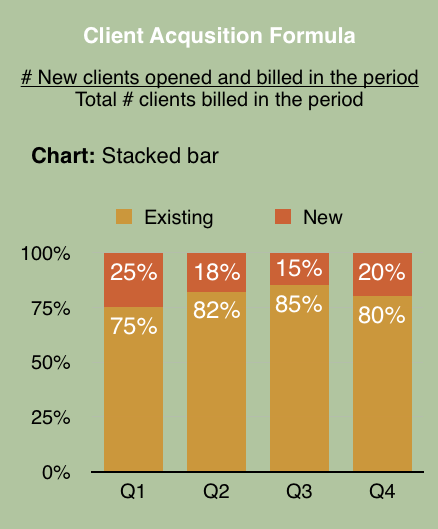 This metric seeks to answer the question, "What percent of our clients are new clients?" If the firm is only servicing its existing clients and not replacing those that leave the firm with new business, the firm faces a potential decline in revenue. Client Acqusition is calculated as the number of new clients opened and billed within the period, divided by the total number of clients billed in the period. Establish a baseline expectation for client acquisition. Watch for aberrations or downward trends. Analyze weaknesses in the sales funnel leading to new client acquisition. Are the attorneys meeting enough new contacts? Are they properly managing their referral sources? Do they know how to ask for and close business with prospects? Design training, programs, and coaching to address pipeline issues. Have business development managers keep the topic top-of-mind at attorney meetings. This metric seeks to answer the question, "Are our current clients growing? At what rate?" Decide if this metric should be analyzed for the firm as a whole or by practice group. Educate attorneys about client growth expectations. Teach them to look for opportunities to grow an account. Foster strong attorney connections across the firm so that they have colleagues to turn to when a cross-sell opportunity presents itself. 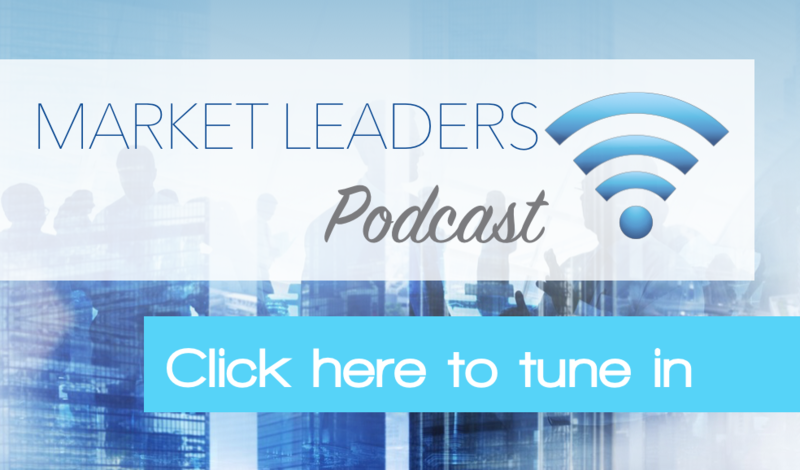 Evangelize the success of growing client accounts. Do this for both large and small clients to illustrate how it is done. Have clients come to speak at attorney retreats about what prompts them to increase their utilization of an outside counsel firm. 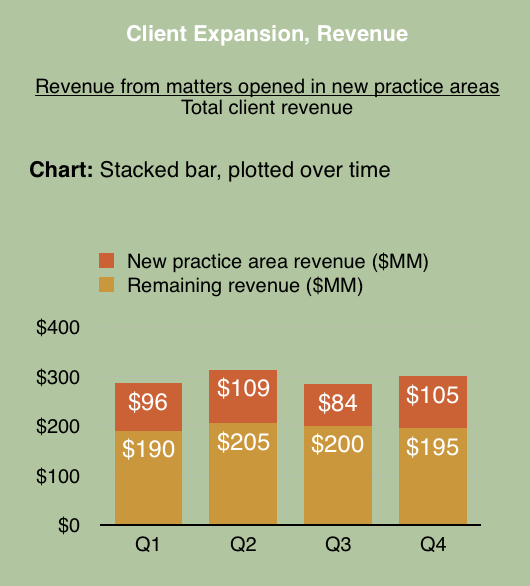 This metric seeks to answer the question, "What percent of our clients are generating revenue from more than one practice area? What percent of our clients are cross-sold?" Same as above. Also, discuss with the comp department about what incentives exist or could be created to drive collaboration and cross-selling. Encourage attorneys to form connections with colleagues within the firm so that they can have a variety of names on hand to reference in cross-selling conversations. 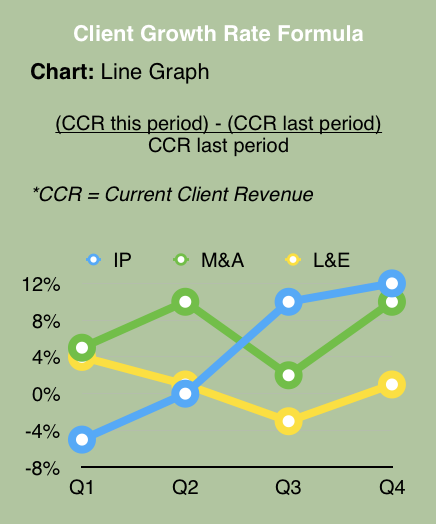 This metric seeks to answer the question, "What percent of current client revenue is a result of cross-selling?" Look for accounts where the revenue increased dramatically as a result of cross-selling. Promote that as an internal success example. 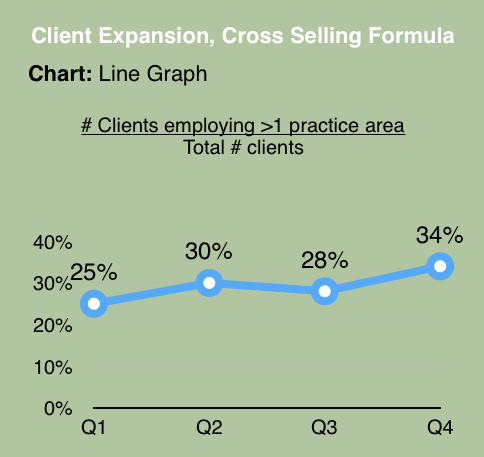 Demonstrate that total client account value is highly correlated to cross-selling. Market that fact at retreats and in trainings. We suggest choosing 1-2 KPIs to start tracking for the next year, and keeping the approach as simple as possible. You will likely need access to firm financials to calculate these numbers – and the data may not be perfect, but be sure to get the most accurate data you can from the start – coordinate with your firm accounting or financial department for the proper metrics. KPI - based strategy is a powerful tool in the hands of the law firm, but it can be an overwhelming challenge to roll out meaningfully. Sometimes the data simply isn't available. Additionally, it can take significant time to recognize trends. However, it's never too late to start – and remember that the more visibility your firm has on its own metrics, the more informed it can be when it comes to making impactful business decisions. Looking for even more KPIs to use to grow your firm? This free report provides legal marketers with a set of 18 useful KPIs that are easily calculated, aggregated from platforms they already use, immediately actionable, and strategically valuable. We will also explain what you can do with those metrics to cut costs, identify opportunities, and grow the firm.